I didn‘t have the time to work on this project constantly, but I finally got around to finalize a colored still image. I usually start out with a cube, mirror the object and just extrude faces and move vertices in order to match the reference image. 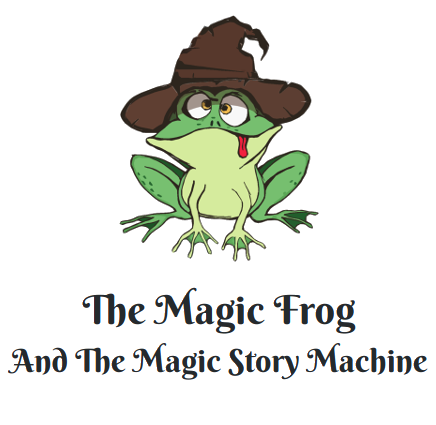 I reused the hat of the Enchantress of the Night, I modeled for an art contest, but changed it up for the frog, as they looked a bit similar. 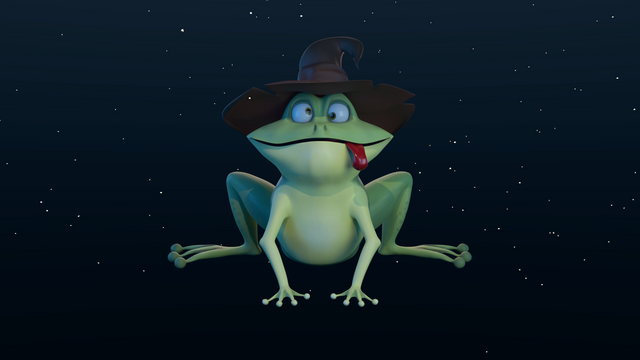 A few weeks ago I didn‘t think about rigging the model, so I used an Array Modifier and Curve Modifier to deform the tongue for a still image, but decided later on to animate this little fella. So I added an Armature instead in order to move the tongue smoothly. The request was a low poly character, so I had to do a retopo of the model and did it in two different ways, which you can see in the gifs below. 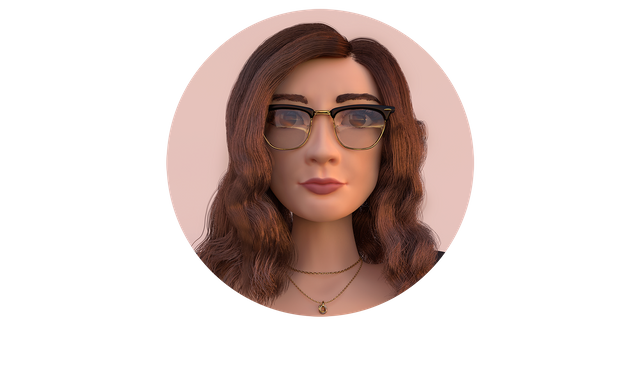 I sometimes use the Z-Remesher from ZBrush, but decided to only use the software Blender for this project. In order to texture the model, I had to UV-unwrap the model and export the uv-map. I chose the Principled Shader and added an Image Texture, where I could chose the exported uv-map. Then I was able to switch to the Texture Mode and started painting directly onto the model. I also used a leather texture from Poliigon for the hat and just used the normal map*. Please check the license, the texture may not be reditributed. I already rigged the model and did a small animation to showcase that. 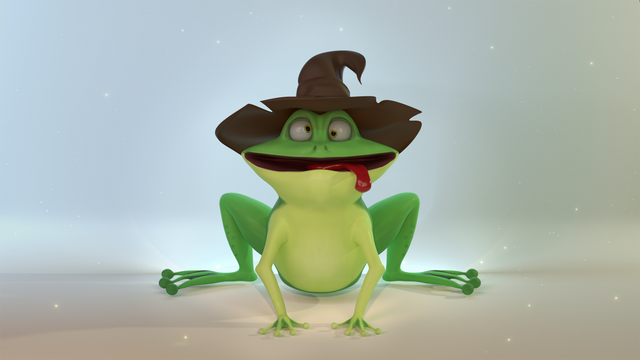 I had some problems with the skin binding near the "knees", because I didn‘t model the frog in a t-pose, so when I move the hip, the knees crinkle a bit. I will work on that later on, but for now I moved the lids, the fingers, the tongue and rotated the eyes a bit. I also created Shape Keys, because I didn‘t like the look of just rotating the lids for blinking. I added Shape Keys for the eyebrows and mouth. I used Blender, version 2.79, a free and open 3D creation software using the engine: Cycles Render. I rendered the frames with the renderfarm SheepIt! and created the gifs with Photoshop. That's pretty cool! I tried making models like that in virtual reality, it's a lot of fun to manipulate objects and create 3D art in vr, super intuitive. I really like how you described your method with text and pictures. Very nifty. cool frog! i'm gonna show my 3D art soon. Peace! Nice! Blender is so cool to use, final result looks really professional! Thank you:) Yeah, Blender is growing on me. oh funny character , i would like to learn 3Dmax , i like that gifs ! This is so amazing. I really REALLY want to get into 3d modeling. It would be amazing to build my characters I paint from in this way, it'd be truly magical. Very nice :) Retopo in Blender as well. 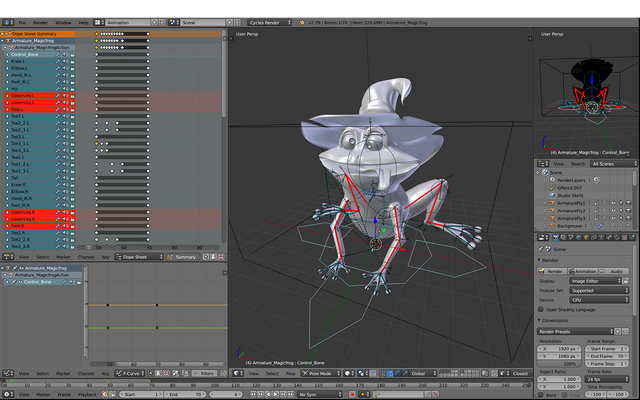 Also rigging the small fingers is very detailed. This is really cool! For me its really hard to do this. But I think, you'll be my inspiration!